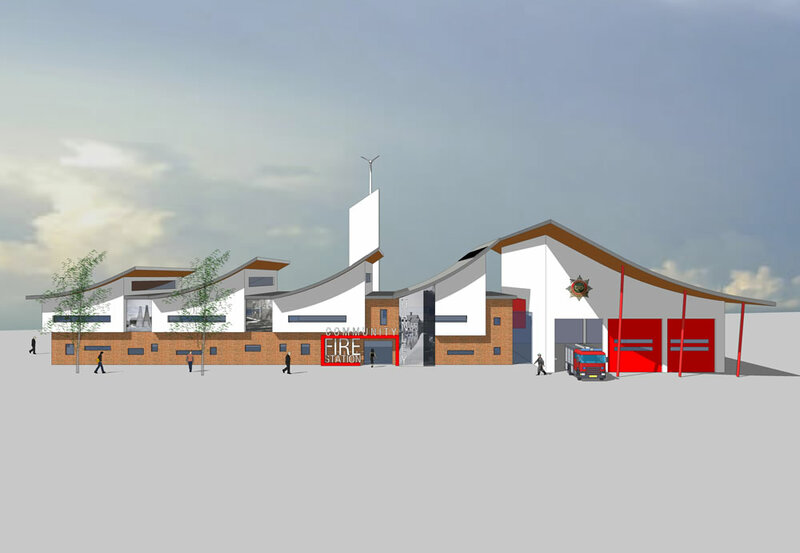 Frank Shaw Associates were part of the Interserve team bidding for Staffordshire Fire And Rescue PFI. 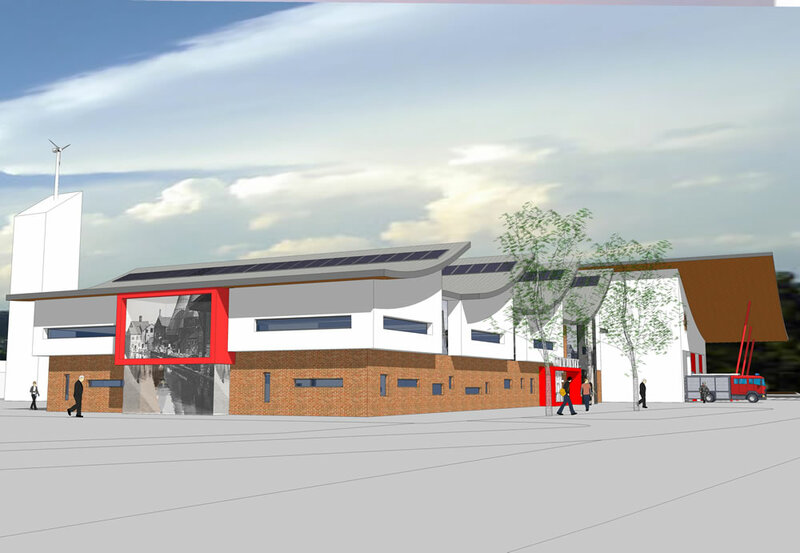 Hanley Fire Station was one of the existing fire stations to be replaced with new facilities incorporating the latest requirements including sustainability and renewable energy. The roof design and orientation maximises the efficiency of the solar panels and a wind turbine is located at the top of the drill tower. 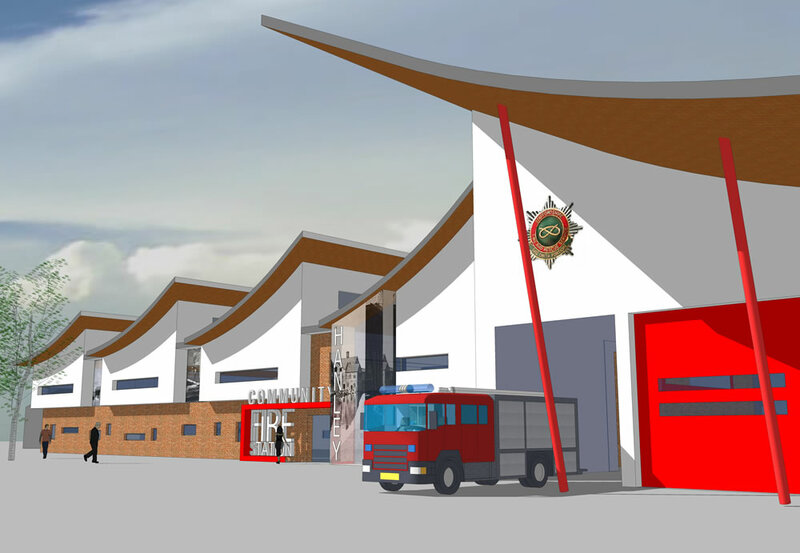 The new station with a 3 space appliance bay was designed and located to enable the existing fire station and administration to function onsite being decanted in stages. Community facilities were included commanding a high profile, off the main road and with maximum interface with the fire station. This would have provided duel use of facilities and enables the community to experience the daily activities of the fire station.